After a several-year TV advertising hiatus, Gap pushed back into the spotlight in 2013 with a pair of celebrity-driven campaigns directed by Milkt‘s Danny Clinch via Peterson Milla Hooks. This autumn’s Back to Blue campaign featured Alexa Ray Joel, daughter of Billy Joel, and Dhani Harrison, son of George Harrison, delivering their own renditions of two of their fathers’ most beloved hits. 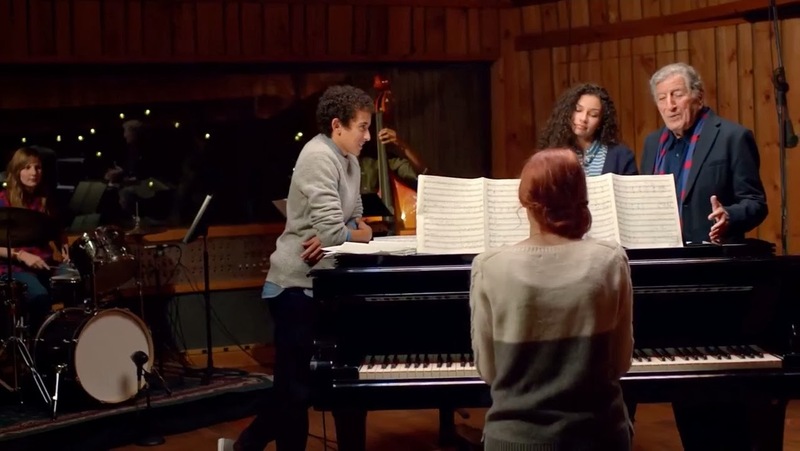 The recent Make Love campaign follows legendary singer Tony Bennett into a high school, where he belts out his classic The Best Is Yet to Come with student beneficiaries of his Exploring the Arts Foundation.